Are you interested in a particular speaker or product? Do you need an interactive map of the Sacramento Convention Center? Or perhaps there’s a group of sessions you don’t what to miss. If you answered yes, then turn to My Show Agenda Planner. Are you waiting to register? There isn’t much time left to take advantage of significant discounts on your Unified Symposium registration. January 22nd marks the end of early registration discounts. So whether you are registering for a full three days of exhibits and sessions, or for the exhibits only, you can save. But only if you register before midnight (PST) on January 22nd. Programs… Get Your Program Here! While all the program information is available on the Unified Symposium website, to some people there is nothing like having a hard copy to refer to. We offer a downloadable and printable Registration & Program Guide which includes the latest information on the program sessions. How would you like to save up to $200? Being cost effective with Unified Symposium registration is simple. All you need to do is register by January 22 and you’ll receive an instant discount. Members of ASEV and CAWG can save even more – up to $390! If you aren’t currently a member of either, you still have time to join. Then all you need to do is register before the deadline to get your discount. Just go to either www.asev.org or www.cawg.org to join. Set your calendar reminder! 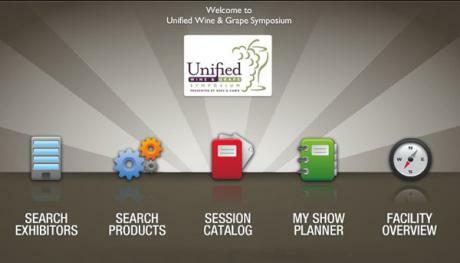 Registration and housing for the 2013 Unified Wine & Grape Symposium opens on Monday, October 29th, at 9 a.m. (PDT) on the Unified Symposium website. Visit our website for a daily preview of the 2013 Unified Symposium program. Between now and the beginning of the event, we will continue to post program updates and make other announcements about the trade show and symposium. Will the economy improve significantly in 2013 or continue to struggle? Will consumers buy more ‘value wines’ or will they choose to trade up? Will the hot selling varietals stay hot or be overrun by something else? These are just some of the issues the 2013 Unified Symposium Program Development Committee is considering while it continues developing the program for January’s event. 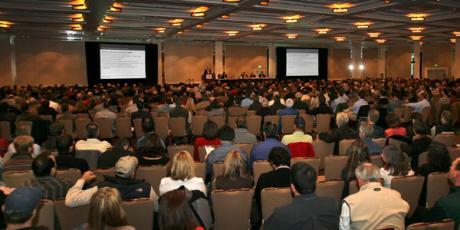 If it seemed as though there were more people at the 2012 Unified Symposium than ever before, you were right. Once again attendanceUnified crowd broke another record with 12,400 guests from around the world, who gathered at the Sacramento Convention Center on January 24-26. What Are You Waiting For? Last Day to Save Up To $200 on Registration! You can still register through 11:59 pm (PST) today, January 17, for the 2012 Unified Symposium and save up to $200 on your registration. Just click here to go to the registration page and save. It is just that easy. If you are undecided on what days or sessions to attend, visit the website to browse the entire program before you register. Don’t wait any longer! January 17 is the deadline to register with lower rates for the 2012 Unified Symposium. Save up to $200 on your registration. Just click here to go to the registration page and save. It is just that easy. And don’t forget, ASEV and CAWG members save even more. Looking for the inside scoop on the wine and grape industry as you look to the future? The general sessions are the “don’t miss” for the answers to today’s challenges. Enhance your knowledge on these topics of focus with the products and services displayed in hundreds of exhibits. Mark your calendar or schedule with this reminder. Housing and registration for the 2012 Unified Wine & Grape Symposium are almost open. Tomorrow, Tuesday, October 25th at 9 am (PDT) you can make hotel reservations and register for the conference at www.unifiedsymposium.org. This year’s conference hotel rooms will be offered differently than in the past. Registering for the conference and reserving a hotel room are now offered separately. 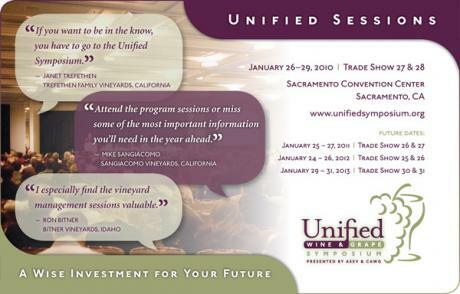 Adverse climate conditions, the state of the industry and brand marketing will be the themes of the three general sessions for the 2012 Unified Wine & Grape Symposium to be held at the Sacramento Convention Center on January 24-26. If you thought there were more people at the Unified this year than last year, you’re right. In fact there were 500 more people than in 2010. Add the 22 additional booths in the west lobby and the 2011 Unified Symposium was by far the biggest to date. If you have attended the Unified Symposium before, you’ll know that parking downtown during the event can be challenging to say the least. That is why we provide special parking with shuttle buses to and from Raley Field in West Sacramento and the convention center. The fee is $8/car/day, inclusive of the shuttle transport. The parking lot will be available Wednesday, January 26, and Thursday, January 27. Parking at Raley Field will NOT be available on Tuesday, January 25. The clock is ticking, but the early registration date has been extended by one day to accommodate those people who may be off on Monday for Martin Luther King Day. That’s up to $200 you can save on your registration – but you must register by midnight PST on January 18th. After the 18th, the discount will be gone. You can still register online until January 20th and then onsite but the rates will be much higher. The old adage, “knowledge is power,” couldn’t be truer than it is today. So if that is the case, where are you going to get the knowledge you need to succeed in 2011 and beyond? One good place to start is with the Unified Symposium’s wide range of program offerings. From the latest stats to new techniques you can use in your vineyard or winery, the Unified Symposium has informational sessions to suit just about any need. Mark your calendar for October 26, at 9 a.m. (PDT) – that’s when registration and housing will open for the 2011 Unified Wine & Grape Symposium. This year the opening time has been changed from 6 a.m. to 9 a.m. to make it a bit easier for all. When you register for the Unified Symposium you can also make hotel reservations at our discounted conference rates at the same time based on availability. 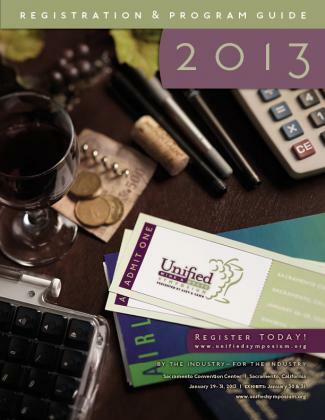 The 2010 Unified Wine & Grape Symposium is behind us, and the numbers have been tallied. This year’s event drew a crowd of approximately 11,700 industry representatives to the Sacramento Convention Center on January 26-29. “The continued success of the event validates that the industry relies on the information that the Unified Symposium has based its foundation upon,” said Lyndie Boulton, the American Society for Enology and Viticulture (ASEV). You can still save up to $200 on the Unified Wine & Grape Symposium’s Friday event High Elevation/High Latitude Seminar: Wine Growing On the Edge, which includes a box lunch and wine tasting when you register on-site in Sacramento. Cost of the seminar is $300 for ASEV or CAWG members, $100 for ASEV Student Members and $600 Non-members. That’s right! Register for all four days of the Unified Wine & Grape Symposium, including the Friday High Elevation/High Latitude Seminar, and you will save $400. Or register for just the 3-day package which includes the symposium and trade show or just the Friday seminar and save $200 on either.